The Bluffton Lions Club a number of years ago determined that those persons whose dedication and achievements have significantly affected the greater Bluffton area should be honored for their contributions. The Bluffton Lions Club's Citizen of the Year was established to provide a permanent record of this honor. To honor in perpetuity those individuals, families, or groups whose contribution forever changed the landscape of the greater Bluffton community by their involvement as exemplified by the Lions motto, we serve. Inductions shall be limited to no more than one (1) individual, couple, or individual representing a nominated group and shall occur on an annual basis. Nominee has selflessly given time, effort, and talent for the benefit and betterment of the greater Bluffton area. Nominee leaves a legacy of achievements that have (or will) profoundly influence the quality of life in the greater Bluffton area and have (or will) enduring value beyond the nominee's lifetime. Individuals, families, or groups associated with the greater Bluffton area are eligible for nomination. Achievements and/or qualities honored are to the degree that the nominee's efforts advanced the quality of life in the greater Bluffton area. Nomination forms will be available through the Bluffton Lions Club's official website at www.blufftonlions.org. The personal engagement and persuasion of others to engage in a noteworthy cause. The development of an enduring milestone or significant turning point in the improvement of the greater Bluffton area. 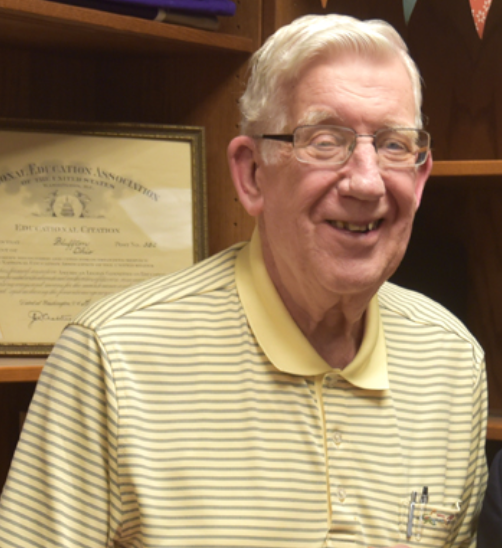 The Bluffton Lions Club's Citizen of the Year Committee will review nominations for accuracy and completeness and present them to the Selection Committee for consideration. The committee will be comprised of members of the Bluffton Lions Club appointed by the President. The committee will discuss the nominations and each member of the committee will have the opportunity to vote on the nominee they feel is most worthy of induction at that time. The nominee receiving the most votes will be the Citizen of the Year honoree for that year. In the event of a tie, the President of the Bluffton Lions Club will cast the deciding vote. Nominees not selected will be brought before the committee the following year. The selection process will occur in February of each year. The Citizen of the Year inductee will be formally recognized and honored at a special reception and dinner in March of each year.